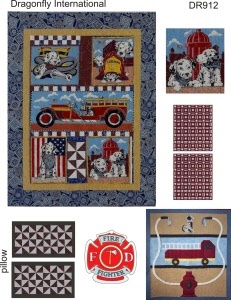 One to fit the Firetruck bed and 2 wall quilts for wall decorations. Includes pillows. Printed on cotton fabric.